is an organization dedicated to meeting the basic human needs of Denver-metro’s homeless and low-income families and individuals. is a state agency that is responsible for the administration of the Medicaid program, Child Health Plan Plus, and the Colorado Indigent Care program. is a service that provides Medicaid recipients with disabilities the opportunity to manage their attendant services themselves. It allows flexibility, choice and control for the client. is a state agency encompasses many divisions and programs that directly affect AOI's clients and the community in general, including the Disease Control and Environmental Epidemiology Division, the Health Facilities and Emergency Medical Services Division, and the Prevention Services Division. CDHS oversees the state’s 64 county departments of social/human services, the state’s public mental health system, Colorado’s system of services for people with developmental disabilities, the state’s juvenile corrections system, and all state and veterans’ nursing homes. The mission of the Brain Injury Association is to create a better future through brain injury prevention, research, education and advocacy. This web site contains a wealth of valuable information. Traumatic Brain Injury is an insult to the brain, not of a degenerative or congenital nature, which results in impairment of cognitive abilities or physical functioning. It can also result in the disturbance of behavioral or emotional functioning. These impairments may be either temporary or permanent and cause partial or total functional disability or psychosocial maladjustment. The Brain Injury Association provides direct services to two thousand survivors, families and professionals annually. Several thousand more are served through community outreach programs. The HCAC is a voluntary, non-profit trade association dedicated to the advancement of its membership, the home care agencies of Colorado and their suppliers. 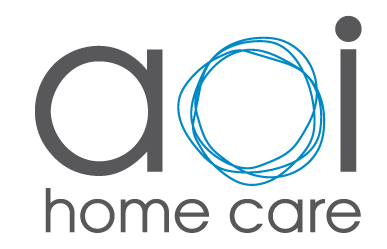 Their mission is to enhance the viability of home care as an integral and prominent part of health care delivery by providing: legislative, regulatory, reimbursement and advocacy support at state and national levels, public relations assistance, educational opportunities, data collection, analysis and dissemination, and communication/information channels. Craig Hospital is exclusively dedicated to the specialty rehabilitation and research for patients with spinal cord injury and traumatic brain injury. Craig has treated more than 25,000 patients since 1956 - more spinal cord injury patients than any other single facility in the world. Craig Hospital’s spinal cord injury rehabilitation and traumatic brain injury rehabilitation programs are designated by the U.S. National Institute on Disability and Rehabilitation Research (NIDRR) as Model Systems Centers. The official U.S. Government site for Medicare recipients. The above links will allow you to navigate to other websites that are not associated with this site. Such unassociated websites may contain links to other unassociated sites as well. These links are provided as a convenience to you and to assist in your search for information. We make no endorsement, expressed or implied, about any of these linked sites, are not responsible for materials posted or activities that occur on such linked sites, and do not review (i) content or advertisements posted on or (ii) activities occurring on these linked sites. If you decide to link to any unassociated website, it is at your own risk.